Broadway actor and musician Joey Pero just released a cover of "Happy XMas (War Is Over)" originally by John Lennon and Yoko Ono. The single was recorded in our Mezzanine Studio by Dubway engineer Sam Palumbo, and produced by Emmy Award-winning Peter Fish. “I wanted to record a song with a message of peace; something we can all embrace a bit more during these tumultuous times. I truly believe if we have any chance at world peace it will be through art and music, not money and politics," Pero said in a recent Facebook posting. The single features Broadway Leading Lady Laura Osnes on vocals as well as Pero on trumpet and vocals. Singer-songwriter Norah Jones guest stars on "Dumplings!" - a new episode on Remy's Place, now live for listening on Panoply's children's app, Pinna, and for a limited time for free on Apple Podcasts! Here's Norah with show creators Michael Rubin & Richard Julian in the Mezzanine. Conceived, written, and produced by Rhumba Recorders co-owner Michael Rubin with singer-songwriter Richard Julian, Remy's Place is a highly sound-designed, sonic extravaganza centered around a child, Remy, who grows up in a music café that his parents named after him. Music features some of the best jazz players in New York City (Norah Jones, Tony Scherr, Tony Mason, Henry Butler, Matthew Munesteri, Noé Socha, Kenny Wollesen, Roy Nathanson) and was recorded live in the Mezzanine studio. Over the last few months, we've had the pleasure of recording the first album for Storytown. Storytown is a NYC-based band playing Southern-influenced indie rock, created by musician and songwriter Guy Story. The band, consisting of drums (Tony Cruz), keys (Charlie Roth), bass (Rick Wagner), guitar and vocals (Guy Story) spent two full days recording basic tracks in the Mezzanine with Dubway engineer Sam Palumbo, and proceeded to record vocals and additional overdubs over the following several weeks, in our main floor studios. Check out some photos of the sessions, via Storytown on Facebook, below. Guy Story recruited his band after a summer of writing material, recording demos, in hopes of starting a new band, after leaving a stressful job and finding happiness in music. He tells his band's Story in a series of postings on his website, where he reports progress on the project's journey, announcing upcoming gigs, as well as documenting the process of starting a new rock band. Storytown's debut album is currently untitled with a release date TBD. 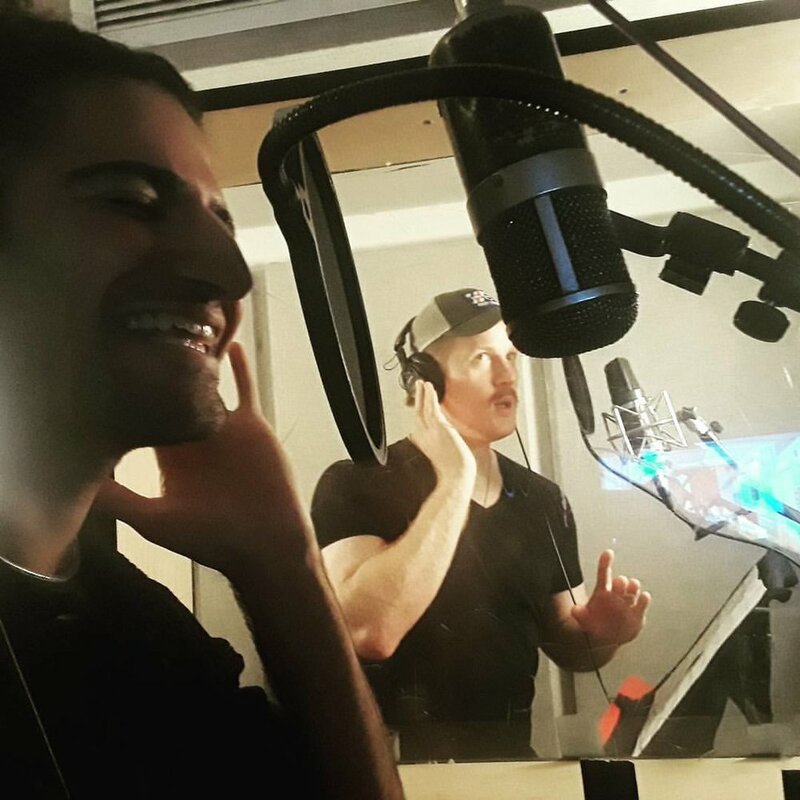 Charles Sanchez and Tyne Firmin, producers of the award-winning web series Merce, have been working with Dubway on recording vocals for new episodes of the musical series! 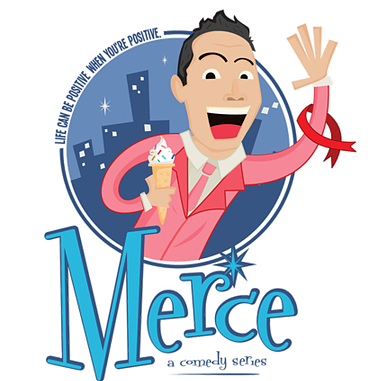 "Merce is a hilarious, award-winning musical comedy series about a middle-aged, HIV-positive man living in New York City. He is unashamedly and flamboyantly gay, a Pollyanna who sees some events in his life through an MGM lens. Merce is bawdy, outrageous and fun, proving that... Life can be positive when you're positive!" Earlier this Spring, our engineers Russell Castiglione and Mariah Cruz went to the Knockdown Center in Ridgewood, NY to record an interview and performance by Grammy-nominated Fleet Foxes for their episode of Live From The Artists Den. The episode premiered this fall on public television networks nationwide. Watch the trailer and some clips from the performances below! Jane Ira Bloom interview for Soul and Jazz radio's "The Fringe"
Last month, soprano saxophonist Jane Ira Bloom visited Dubway to record a spotlight interview with Michael Ambrosino, for Soul and Jazz's "The Fringe" series. Bloom talks about slowing down, using every note and her new album ‘Wild Lines - Improvising Emily Dickinson’ on the tenth edition of The Fringe’s Artist Spotlight series. Take a listen to the interview here. Jane Ira Bloom is a Grammy nominated jazz soprano saxophonist and composer, noted for her use of live electronics in her shows to alter the sound of her performance. In 2007, she was awarded the Guggenheim Fellowship for musical composition, and in 2013, in her release Sixteen saunders received a Grammy nomination for the Beat Surround Sound category. "Wild Lines," her latest work for jazz quartet/spoken word inspired by the poetry of Emily Dickinson, was recently released on September 8th. The Fringe is a two-hour on-demand program that showcases musicians from around the globe who are reshaping the landscape of Jazz. The show features music that's creative, fun, hip, curious, & thoughtful, but still familiar to anyone who listens to, and appreciates contemporary Jazz. Last December, engineers Sam Palumbo and Bea Go recorded an interview and performance by John Legend at the Riverside Church for an episode of Live from the Artists Den. The music for the episode was mixed by Dubway engineer Chris Camilleri. The series kicked off its twelfth season this Fall with the premiere of his episode on Thirteen WNET New York and local public television networks nationwide. Watch the trailer for the episode and clips from John Legend's performance and interview below! John Legend celebrated the release of his new album, DARKNESS AND LIGHT, with an unforgettable performance at Manhattan's historic Riverside Church for his episode of Live from the Artists Den. Visit artistsden.com/johnlegend for local listings. 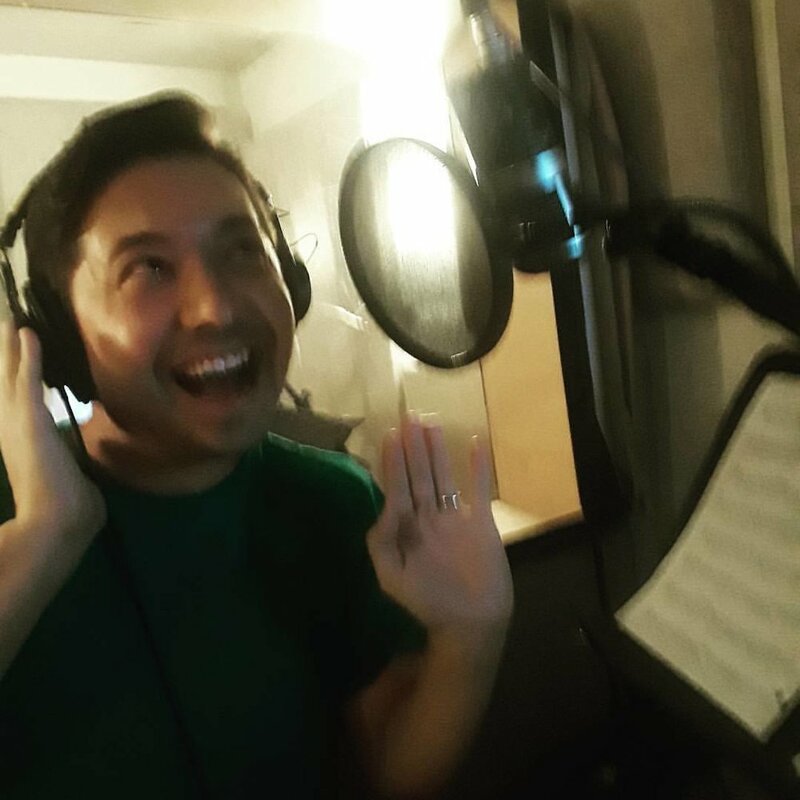 In 2016, we had the opportunity to record music and voice-over for a special episode the Daytime Emmy nominated children's series, Peg + Cat, with PBS Music Supervisor Steven Rebollido, and Music Director J. Walter Hawkes. Premiered on September 15 on PBS KIDS, "The Mariachi Problem" included members of New York's first (and only) all-women mariachi band Mariachi Flor de Toloache, who play animated versions of themselves in cartoon cameos. The episode featured original counting songs performed by the band as the help Cat serenade his lady love, Rosana, on a road trip to Mexico. Peg + Cat featuring Marichi Flor de Toloache. Earlier this year, Dubway had the pleasure of recording the live sound for Lady Antebellum's performance for Artists Den. This week, the special premiered in theaters nationwide for one night only. Watch the trailer below! In 2016, Dubway hosted a music tracking session for a Virtual Reality Film: the 'Pluto Chorale' from 'Seeking Pluto's Frigid Heart' was composed and produced by Graham Robert of the New York Times (who has worked with the Kronos Quartet). The recording session consisted of recording the vocal quartet with both traditional recording methods and the use of a Soundfield Surround Sound microphone. View the interactive video at The New York Times here. Music tracking and mixing has commenced for the annual SOCAPA sessions at Dubway! Several engineers will be tracking and mixing sessions for the young people enrolled in the program to foster their creativity in music. The students, from all over the world, will be immersing themselves in songwriting and music production for days. SOCAPA, The School of Creative and Performing Arts, was founded by a small collective of New York artists in Greenwich Village in 2001. It has quickly become one of the premier visual and performing arts programs for young people. This combined effort allows students to have a fulfilling summer experience. Life In A Blender: new album "Happy Enough"
Life In A Blender just finished mixing their ninth studio album titled Happy Enough, produced by Al Houghton. Its CD release show will be on Saturday August 26th at Joe's Pub in Manhattan. "Led by the singer and songwriter Don Ralph, the satirical chamber-pop group Life in a Blender plays literate songs featuring tasteful string arrangements . . . where angular guitar parts and sardonic lyrics create a gritty ambience." This week, our engineers Russell Castiglione and Mariah Cruz went to Ridgewood, NY to multitrack a performance for another installment of the Live From the Artists Den series. Indie folk band Fleet Foxes performed at The Knockdown Center in Queens for the filming of the secret show. "The 19-song concert highlighted material from the new record—the influential band’s first release in six years—while also looking back to such favorites as “Helplessness Blues” and “Mykonos.” The century-old Knockdown Center, a former glass blowing facility and door factory, provided a perfect setting for the group’s atmospheric harmonies and expansive arrangements, offering an unforgettable night for the audience of invited guests." Adrian Thorstensen worked with engineer Huck Bennert to record new songs by Chip Taylor. As is Chip's way, drums, bass, electric guitar, piano, B3, acoustic guitar, and vocals were all recorded live - old school! Chip Taylor is an American songwriter, most notable for writing "Angel of the Morning" and "Wild Thing" in the 1960s. In 2007, he launched his independent music label Train Wreck Records, which he is recording new original songs under. Tracking songs live, for Rhumba's podcast, Remy's Place, was a stellar band including Richard Julian (Norah Jones), Tony Scherr (Snarky Puppy), Kenny Wollesen (Tom Waits), and Roy Nathanson (Jazz Passengers), with Brad Jones producing and engineering. Michael Rubin and Richard wrote the songs. Currently in development, Remy's Place is a kid's podcast describing life as a child (Remy) growing up upstairs from and inside a Brooklyn music cafe. Rhumba (formed by the partnership between Dubway Studios and Murmur Music), produced a jingle for the automobile service, AAA, via the agency, Majestic Media. Michael Rubin composed and arranged the music, while Nathaniel Reichman was the lead audio producer. Rhumba produced the vocal session in the Mezzanine studio. Mario Spinetti was back in the Mezzanine with engineer Sam Palumbo recording three Chinese instruments for a new original song. 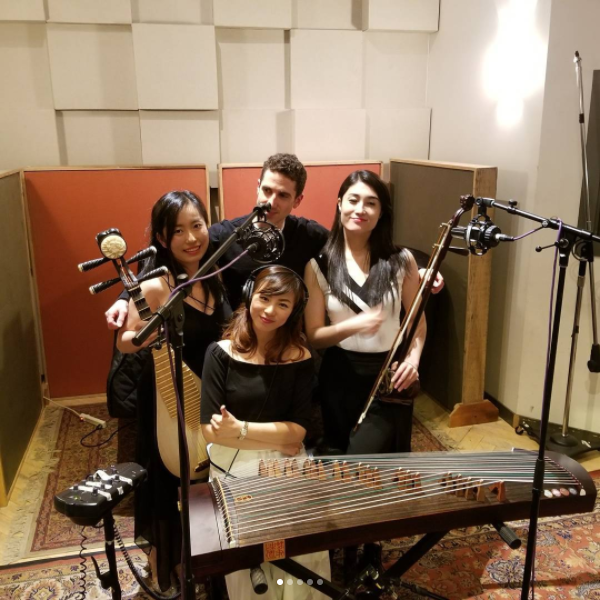 The session featured musicians Wei Wei on guzheng, FeiFei Yang on erhu, and Lu Liu on pipa. New songs. New sounds with @harvestparker with the phenomenal creations of @davidgungor @jwarndt & the crazy talented @jeremystanley capturing the story! Christian singer and songwriter Harvest Parker came from Atlanta to record in our Mezzanine studio, tracking piano and vocals for five songs off her new Christian EP. The session was accompanied by producer David Gungor and pianist John Arndt (of The Brilliance), while her brother, Christian singer-songwriter Daniel Bashta, was also in attendance. Sam Palumbo engineered. A live one pass recording from DUBWAY Studios in New York City. A new song called ANCHOR from her upcoming project getting by with a little help from our friends from the band The Brilliance. Film Score tracking for "Patricia: el Regreso del Sueño"
Singer-songwriter Alla Ray was back in the Mezzanine recording rhythm tracks for five new songs off her upcoming album. Pictured from left to right are engineer Sam Palumbo, bassist Rob Jost, keyboardist Dominic Fallacaro, Alla Ray, vocal producer Ron Shetler, drummer Doug Yowell, producer Al Houghton, and assistant Hayden O'Leary.